August 2017 will likely be remembered in Madison for years to come. Welcoming the 2017 Reebok CrossFit Games to Madison was extraordinary. The Games were a huge success and we are grateful for the support, enthusiasm and warm welcome everyone presented to our visitors. The scope and impact of the CrossFit Games will be felt long into the future. While final economic impact data is not yet available, we conservatively estimate that over $7 million was spent over the days of the Games. In addition to this, the positive and extensive coverage on CBS Sports, CBS network, CBSsports.com, and CrossFit’s social media channels was complemented by invaluable segments on shows like Late Night with Seth Meyers. Destination Management Organizations (DMOs) like the GMCVB and MASC, are the leading entity in any community in creating positive exposure for the destination and boosting the community’s quality of life message – a message that can be used by corporate recruiters, area economic development agencies and more. In this case, the message of Madison as a health-conscious, active and welcoming community, was experienced by thousands, and will be replayed and communicated millions more times in the months and years to come. Creating unique and lasting experiences for visitors is the key to successful destination marketing. The traveling public today is hungry for opportunities to play an active role in their travel experience, versus being passive; likewise, they have a desire to discover unknown or obscure destinations. The CrossFit Games successfully created fresh new fitness events to witness, many ways for both the athletes and fans to be actively engaged in the Games, as well as revealing a destination many had never visited. We are already in the planning stages for the 2018 CrossFit Games and look forward to unveiling fresh, new ways to exceed the expectations and imagination of their athletes, fans, and the greater Madison community. Football season is almost here! Looking for new Bucky apparel before kick-off? Tailgate Clothing is the place to shop. Show off your Madison pride with one of their comfy, vintage t-shirts highlighting favorite local spots like Wando’s and Kollege Klub. On Wisconsin! Year-round, our best sellers are the iconic University of Wisconsin graphic t-shirts. However, once fall rolls around, our UW Football graphics are on high demand among Badger fans. Have you had any celebrities or athletes shop at the store? We have had appearances and autograph signings by athletes Ron Dayne and Rashard Griffith. Many current UW athletes and coaches shop at the store as well. What is an unexpected element that you offer at your store? For each home game, we host a tailgate party filled with food, drinks, music, games and fun! And, how many apparel stores do you go into that also have a coffee shop? Not many! The coffee shop is a perfect, picturesque spot to catch-up with friends, do homework, or just relax with our many drink and pastry options. We also showcase vintage photographs from the University of Wisconsin’s archives, trophies, and other memorabilia related to Wisconsin throughout Tailgate. Aside from apparel, what other types of products you sell? Outside of apparel, our most popular products can be found on the ‘Don’t Ask Why’ side of our store. ‘Don’t Ask Why’ carries several products such as makeup, sunglasses, jewelry, and home décor. On the Tailgate side, we partner with Mitchell Bats, Leatherhead footballs and baseballs, and Skicks sneakers to provide branded gifting items. How do you add ‘local flair’ to the products you offer? Tailgate is all about bringing the best of Madison into our store. We have partnered with some Madison favorites like the Kollege Klub, Nitty Gritty, Dotty Dumpling’s Dowry, State Street Brats, Wando’s, Badger Liquor, and more. We have fun t-shirts featuring their logos, and some even come with a coupon to use at their establishment. We also have a variety of t-shirts that feature our beautiful Capitol building and the lakes that make Madison home. GMCVB has been a great partner, providing connections to make our events successful. They are Madison-community experts and we look to them for feedback, expertise and networking. Anything else you’d like to share about your business? 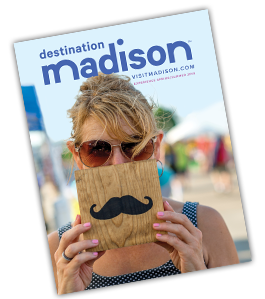 We host many off-site events, in collaboration with local partners, near or around Madison, including Camp Randall, farmers’ markets, and local bars. We participate in community outreach by donating gift cards, t-shirts, and coffee. Among our collaborations, we host a lot of after-hours VIP parties in the store that typically feature a DJ, complimentary snacks and drinks, and special discounts for attendees. While the majority of these collaborations have been with the UW Greek community, student organizations, and the Alumni Association, we’d love to expand our network. Tailgate Clothing is located at 575 State Street, phone: 608.286.1808. 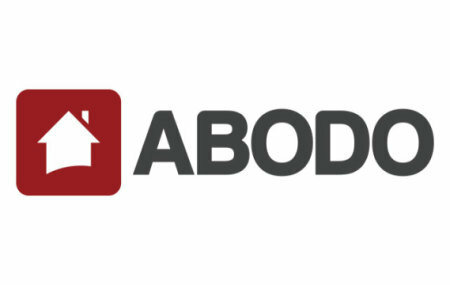 Founded in Madison by UW alumni, ABODO is a nationwide apartment search service. Filter thousands of local, up-to-date listings by price, pets, and more to find your new place fast. A team of creative can-doers. A warehouse full of stories. Rent reclaimed harvest tables, handcrafted backdrops and bars, vintage furniture, custom signage and more. 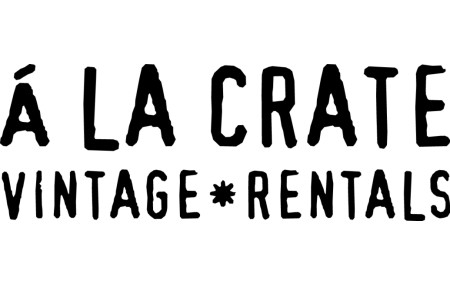 Personalize your next event with A LA CRATE. 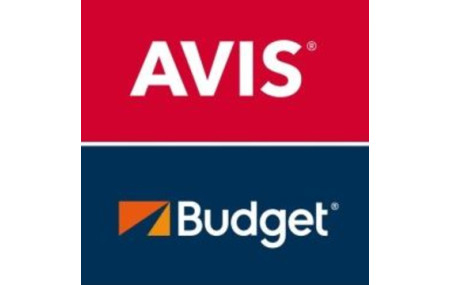 At Avis and Budget, you&apos;ll find a variety of new model vehicles at competitive rates. Save even more online with the "Pay Now" option and get up to 30% off! Chocolaterian Cafe is the Madison area&apos;s chocolate and wine cafe, specializing in chocolate dessert creations and confections. Enjoy house-made soups, quiche, and sandwiches, paired with wine, beer, or coffee. Purchase chocolates, wines, and more, as gifts or to take home for yourself. Located in the "backyard of Alliant Energy Center," The Coliseum provides great food and drink in an upbeat atmosphere. The outdoor patio is great for summer days and the kids&apos; menu is sure to please. We also provide shuttles to UW sports venues. Great “Burgers, Beer & Camaraderie,” that’s what Mr. Brews is all about! With a menu of 48 taps and 11 burgers (with endless customization), one visit won’t be enough to take in everything they have to offer. ProAdSpec is dedicated to providing clients with promotional marketing that works. Since 1990, their mission is simple - provide clients with marketing programs and products that bring results. The Soap Opera has unique soaps and grooming products made locally and globally. They provide an opportunity to custom scent perfumes and natural products. Natural and organic products are available, too. For 20 years, Microtel Inn & Suites by Wyndham Madison East has welcomed people and pets at their convenient east side location. Offerings include free breakfast, Wi-Fi, and kids under 17 stay free. If you’re looking for a great night’s sleep that won’t break the bank, this is the place. Cheers to many more years of business success! Brasserie V has been feeding its patrons delicious food and quenching their thirst for world-class beers since 2007. They are celebrating this 10-year anniversary by giving away a year of free frites to the lucky person that buys the 200,000th cone of frites. Head over to Brasserie V this summer and maybe you can be that lucky winner! Happy anniversary, Brasserie V!